After our winter break we returned with some new stallholders, inside and out, alongside some of our regulars. It's great to be back for 2019... we're already looking forward to April! Continue reading "Photos from May and June 2018 Markets"
Continue reading "Photos from the April 2018 Market"
Continue reading "Photos from November 2017"
Here's a selection of photos of our October market from Phil Banting. We welcomed some great new stallholders, and also customers who are still discovering the Market for the first time. We look forward to seeing you again in November... it will be here soon! 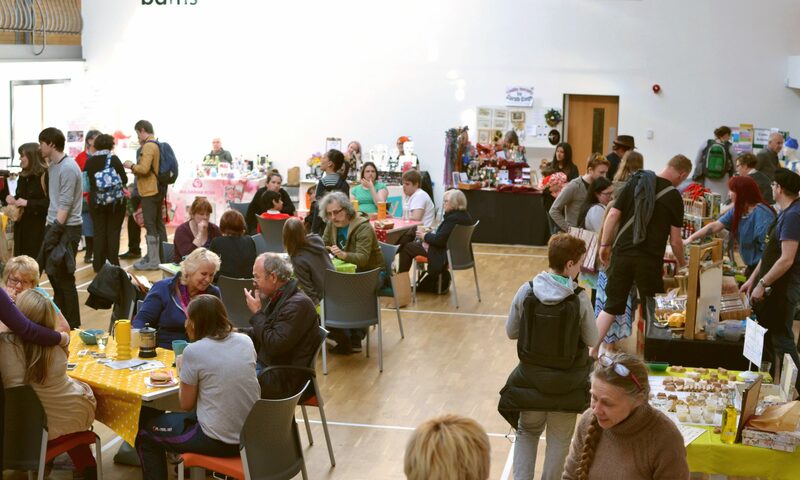 With a great range of stalls both inside and outside our customers had much to enjoy at the September market, as this selection of photos from Phil Banting shows. At one point a brief downpour drove all but our hardiest stallholders inside but it was soon business as usual. Thank you to everyone who came! At the August market we had sunshine... and a heavy shower... and lots of great stalls and customers. Here are some photos from Phil Banting. We hope to see you again in September, rain or shine.